I don’t use my iPad often. occasionally I’ll use it when working in the garage to look up instructions online depending on what im doing or, to catch up on a book. As far as gaming goes the iPad is not really my thing. Bejeweled HD is the only game that really gets abused on the iPad when I can pry it out of my wife’s hands or the occasional game of Peggle. Puzzle games to me are the only ones that should be played on the iPad while shooters, drivers, and others need to stay on consoles. 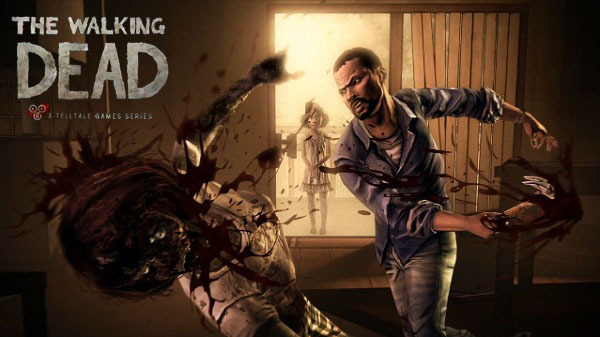 Recently numerous award nominations have been popping up for The Walking Dead. Not for the awesome TV show or even better comic book series but for the touch based video game available for the iPad and iPhone. Being the Walking Dead Fanboy that I am and since episode one was free I decided to load this bad boy up on my iPad and give it a whirl. The player adopts the role of Lee Everett, a felon who is on his way to prison when all hell breaks loose. The police car he is in crashes in the mayhem and he is set free in a new world where the undead walk the earth. Lee meets characters along the way that implicate how the story plays. No more spoilers, this game is too good. For gameplay mechanics, you are able to walk around and look. Interaction with individuals within the story is RPG based. You are able to pick up items and actions within the game are also point, click, touch or swipe based. Think of “Lol” Dragon’s Lair meets Infinity Blade. The story is what makes the player come back for more. If you looking to go on a killing spree ala Daryl Dixon you won’t find that here. There are tasks and interactions within the game that must be completed before the player can move forward. This may include looking for items or speaking with certain characters. In turn, this builds into the player discovering the world within the game and getting to know characters better which may aid in certain decisions the player has to make. The choices made by the player make the game what it is. 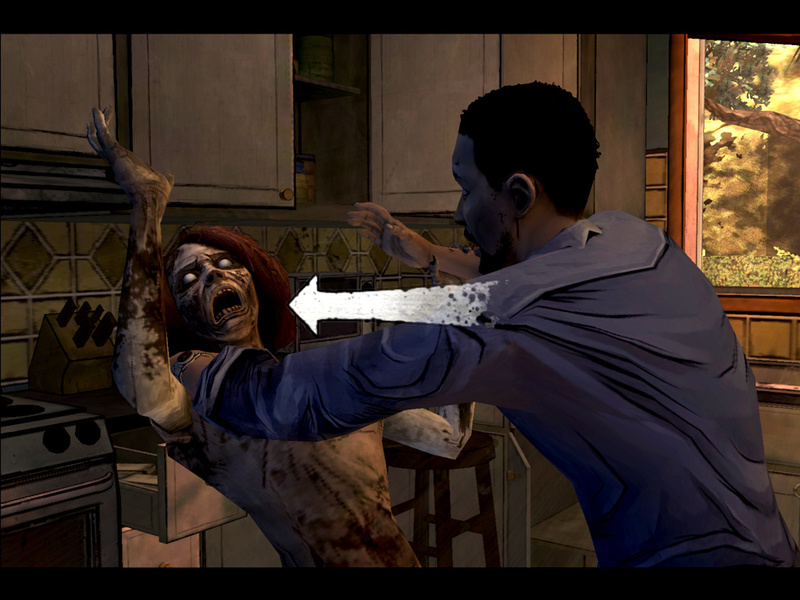 Certain decisions move the game in different directions and that’s what made The Walking Dead game of the year. If you have an iPhone/iPad I highly recommend downloading the first episode free from the iTunes store. The game is also available for the Xbox 360 and PS3, they all pretty much look the same. Download it for free. You won’t regret it.